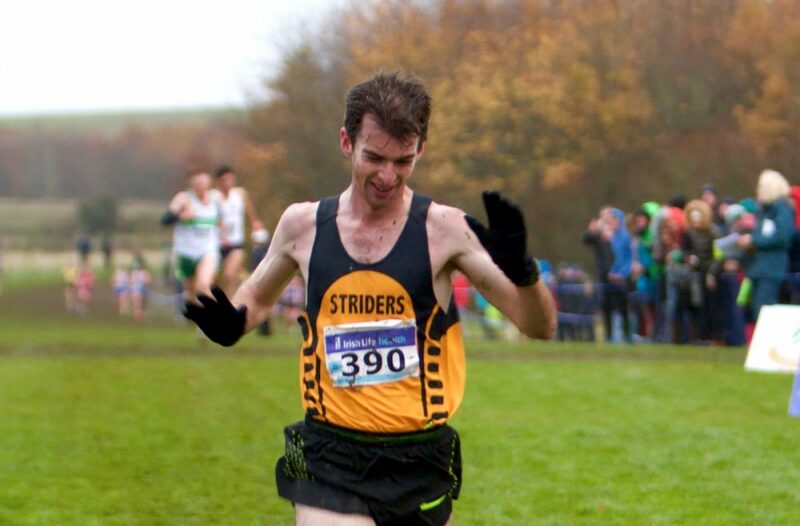 Ireland’s most consistent distance runner of his generation is full of optimism as he looks ahead to what he hopes is a successful year of road racing. Paul Pollock says he’s in “great shape and eager to get his racing shoes back on” after missing the World Championships in London due to injury. The Olympian showed tremendous determination last year to come back after a hip injury derailed his preparations for London 2017. 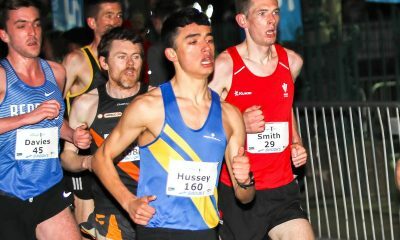 With only seven weeks to go, he crammed in an ambitious training block aiming to get his fitness to a level that would allow him to compete with the best on the streets of the UK capital. However, within touching distance of the start line, he suffered two metatarsal stress fractures in his foot forcing him to announce his withdrawal only four days before the race. “It was a big disappointment to not make the World Championships,” says the 2:15:30 marathon runner. “I always knew it would be an uphill struggle to then get fit in time, but we pushed harder than we normally would and that was when the body broke down. It wasn’t necessarily back to the drawing board for the man who finished 32nd at the Rio Olympics in 2016, but more about getting over the disappointment and then easing back into training. “After that second setback last year, I didn’t rush my comeback this time and was sensible,” he explains. “I went away and made sure I took the time to allow the foot to recover properly. “We have increased the miles slowly and are now training hard with the sessions all coming together. We are in February now and I’ve had a solid five to six months training. 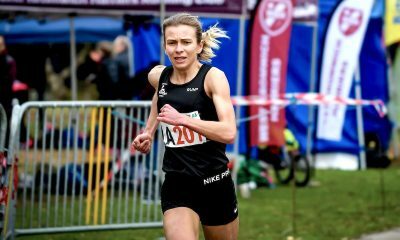 In between that solid block of training Pollock became the Irish national cross country champion for a second time in November 2017, before competing at the European Cross Country Championships in Samorin. He then ended 2017 with a new 10k road personal best 29:06 in Madrid on New Year’s Eve. Boxes have been ticked and most importantly injuries are at bay. There is optimism now and a hint of confidence for the year ahead with the World Half Marathon Championships, Gold Coast Commonwealth Games and the European Championships in Berlin. 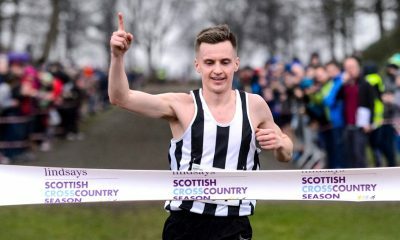 Looking ahead to the Commonwealths, Pollock has the added benefit of training exclusively with a fellow Gold Coast destined athlete – fellow Northern Irish marathoner Kevin Seaward. At their Teddington base in London the pair work under the guidance of Andy Hobdell, a coach to Pollock since 2011. “With the two of us going to the Commonwealth Games it’s ideal because we are on similar training plans for the next couple of months,” he says. “It’s great having this relationship in training and knowing someone else is on the same program and effectively improving together. 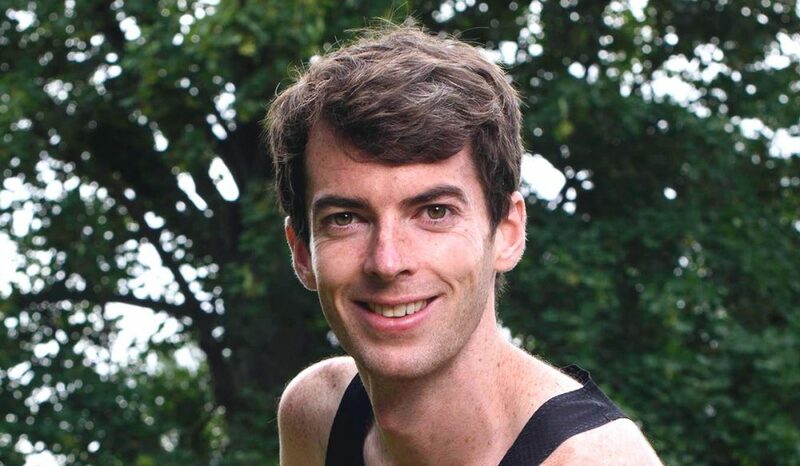 “In terms of the Commonwealth marathon itself, ‘how do I hope to do?’ Every marathon is completely different and with my injury record, all I am concerned with at the minute is getting to the start line healthy and in one piece. 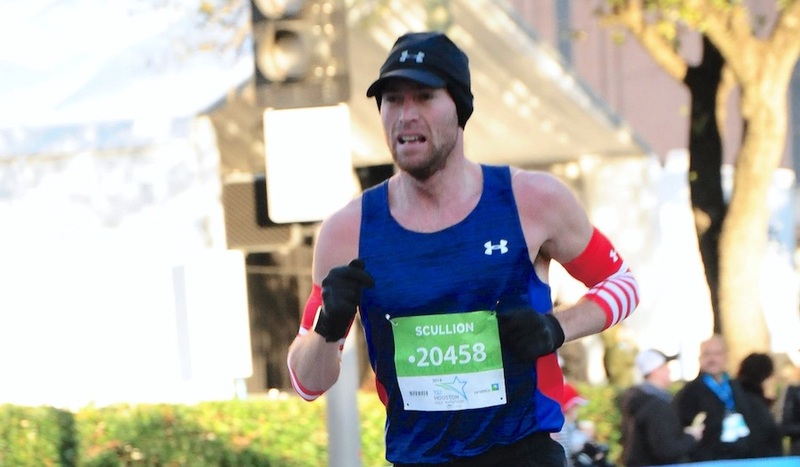 Irish and Northern Irish distance running had a very positive start to 2018 with Stephen’s Scullion’s 63:16 personal best at the Houston Half Marathon. It was a 90 second PB for the Belfast man and since 2011, only Pollock himself has posted quicker half marathon times. “It was a great run, I am good friends with Stephen and we are in contact regularly,” he says. “I knew leading into the race he had a good block of training over in the U.S. and if I am honest it was no big surprise he ran as well as he did. “We always kind of say you if you have one good race and get a solid time and then the next race is where you can come out and run even better. So I am really looking forward to seeing what he does in the next race now he has that confidence. “Anyone who knows Stephen sees how talented he is and has been, so it great to see him now hitting these times. The last Irish marathon man to feature in the top-10 list was Mark Carroll’s 2:10:54 in 2002, almost 16 years ago, and while there have been some cries about the ‘current standard’ Pollock insists Irish distance running is in a good place with a bright future. “I think compared to where it was five or ten years ago it’s in a much better place,” he explains. “You saw in 2016 Ireland sent a whole men’s team as well as a women’s for the first time to the Olympics. “In terms of the future, I think we are just waiting for that one person to have that breakthrough and run a few minutes quicker than the 2:15 / 2:16 times where a lot of Irish runners are at this point in time. “Once one person can do that I am sure three or four will follow after. You just need that one person to bring everyone else on and give them the confidence that they can do it too. Pollock has his first road race of 2018 next weekend at the Barcelona Half Marathon before looking ahead to the World Half Marathon Championships on 24th March in Valencia. “I can’t wait to get out on the road again after this good block of training,” says the 62:09 half marathoner. “Looking at the start list there is quite a few Irish and British athletes taking part in Barcelona, so it should be a good race. “Once next weekend’s out of the way, my eyes will be firmly fixed on the World Half’s – that’s the big goal for spring before the Commonwealths.